Ready to claw your way to some winnings? Here’s a delightful little kitten to help you do just that! 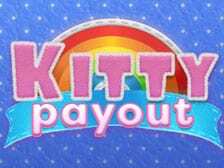 There’s no slot game cuter than Kitty Payout, so expect to see baby pinks, charming rainbows and, of course, a friendly feline who will be right by your side for every spin. This cat has certainly got all the cream, and she’s willing to share just as long as you are able to spin some purrrrfect wins. Check out slots here on Wizard. Eyecon are known for their impressive range of games and unexpected themes. 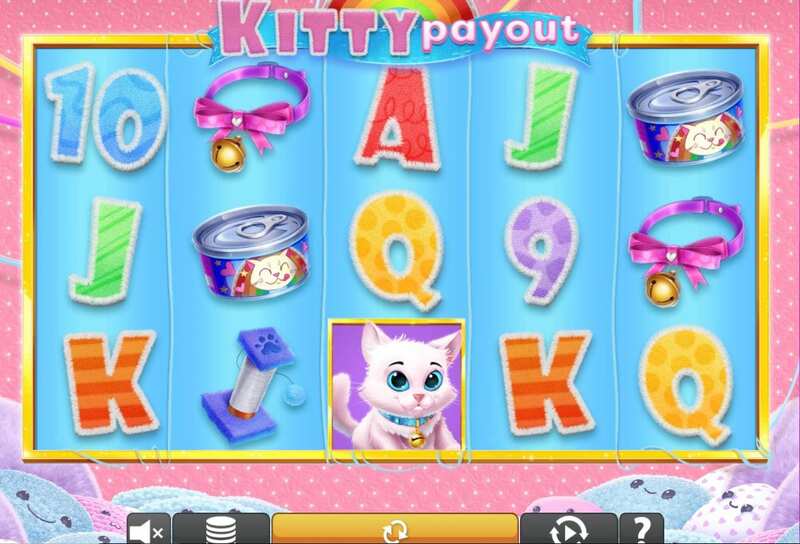 Kitty Payout is another surprise from them – after all, who expects a kitten-inspired slot game?! But they have created this slot to such a high standard, with impressive graphics and brilliant bonus features, they’ve really managed to pull this left-field theme out of the bag – you could even say that they’ve left the cat out of the sack. There’s certainly no denying that Kitty Payout is the cat’s whiskers of slot games! Kitty Payout is not the only game we offer from Eyecon here on Wizard, come and see our selection. The Kitty Payout game board is decorated with candy pinks and powdered blues, so much so that you might think you’re in a nursery for kittens. There’s a bright rainbow hanging right above the game reels, and you’ll be able to spot some smiley cushions just below. Right in front of this lively background, you’ll see your five reels and twenty-five pay lines. Indeed, players can experience the best video slots to play today. Each symbol is on a bright blue square: lower value symbols are represented by letters of the alphabet while higher values are represented by a cat’s favourite things. You’ll see tins of cat food, scratching posts, and bowls of delicious milk. Some of these fun symbols are the special ones you need to keep an eye out for. · WILD SYMBOL – Don’t be disheartened when you spot the spilled bowl of milk as that’s the Wild in this game. Apart from the Scatter, it can replace any other symbol on the board. When the milk appears, your chances of spinning a win increase! · FREE SPINS – It’s the kitty herself that represents the game’s Scatter symbol. If you spin three, you will be granted fifteen Free Spins. Four Scatters bag you twenty Free Spins and five will win you twenty-five freebies. You’ll also notice that this game has an exciting auto-play feature. Simply click on it and the kitty will do all the hard work for you. Enter in how many spins you want, and the game will automatically do them without you needing to keep on hitting the ‘spin’ button. It can greatly speed up gameplay and makes it easier for you to multitask! will be passing up on! The autoplay helps you speed up your winning streaks and can add a whole lot more excitement to the game. And anyway, who can say to such a cute, little kitty?! 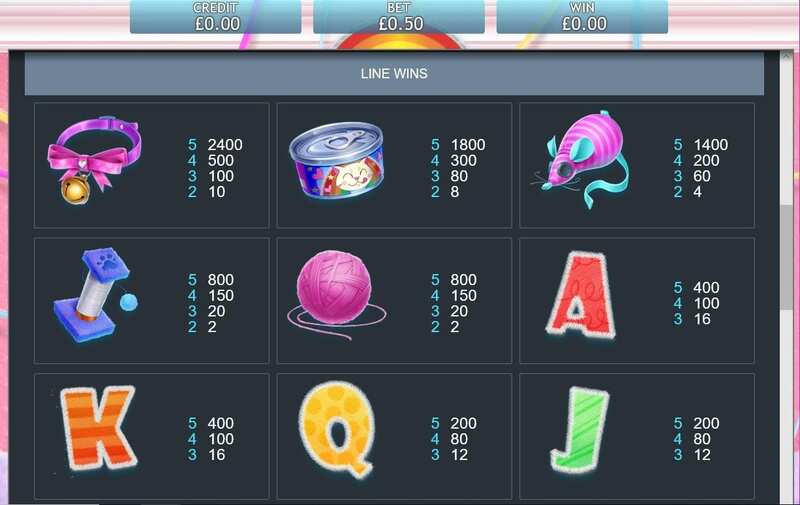 If you enjoyed playing Kitty Payout why not give Kitty Payout Jackpot a go.